PPC, or Pay Per Click, is pretty simple: Search engines like Google and Bing allow businesses and individuals to buy listings in their search results. These listings appear along with the natural, non-paid search results. Take a look at the graphic to the left for ad placements on a basic "dentists in Indianapolis" Google search. The new Google search format (Feb 2016) includes up to 4 ads "above the fold" and 3 more ads at the bottom of the page. The search engine is only paid when a searcher clicks on the sponsored listing or ad. The important thing to remember is these ads are sold in an auction. You bid what you want to pay for a click on your ads. Bid the most and you have a chance of appearing at the top of the page. If someone clicks on your PPC listing, they arrive at your website or a landing page, and you are charged the amount you bid. So, if you bid $0.15 per click on "widgets," and that’s the highest bid, you’ll probably show up first in line. If 100 people click on your PPC listing, then the search engine or PPC service will charge you $15.00. How Can PPC Go Wrong? 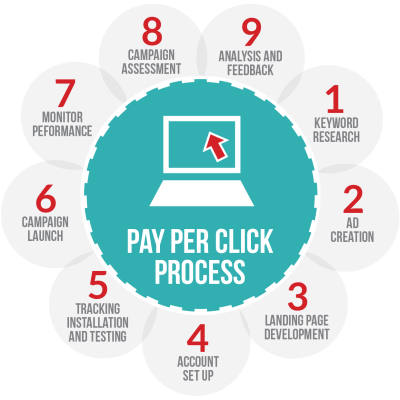 For all the good Pay Per Click can do for a business, PPC advertising, poorly managed, can cost a fortune. It’s easy to get caught up in a bidding war over a particular keyword and end up spending far more than your potential return. "Ego-based" bidding, where a CEO or marketer decides they Must Be Number 1 no matter what, can cost much more than any anticipated return. Also, bid inflation consistently raises the per-click cost for highly-searched, highly-competitive phrases. This inflation is caused by both ego-based bidding and by the search engines themselves, who impose quality restrictions on many keywords. 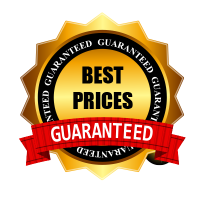 These quality restrictions increase the cost per click even if no one else is bidding. We have the experience and expertise required to successfully run your campaigns. Our results in working with the area's leading small and mid-sized businesses have routinely brought sales growth unrivaled by other forms of advertising. We have helped jewelers, dentists, attorneys, mattress companies, masonry companies, insurance agencies, and funeral homes grow thier online presence with professionally-managed PPC programs. On top of all that, WE GUARANTEE WE'LL PUT MORE OF YOUR BUDGET TOWARD THE CAMPAIGN THAN ANY OTHER ONLINE MARKETING FIRM! YOUR RESULTS WILL PROVE IT!